The way Atletico Madrid approached this weekend's game has left Cristiano Ronaldo and the Madridismo outraged. 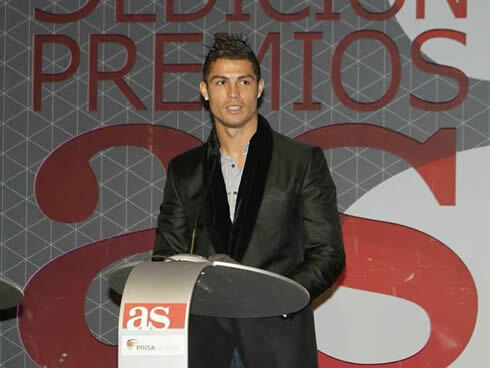 The Portuguese player and Atletico Madrid's president, Enrique Cerezo, had a small discussion ("word fight") at the awards ceremony from the newspaper "As.com" and Ronaldo ended up by feeling the need to defend his club teammates from the accusations that were being made. It all started with Enrique Cerezo arriving late, greeting 2 persons that were seated next to him and then waving at a few others in front. 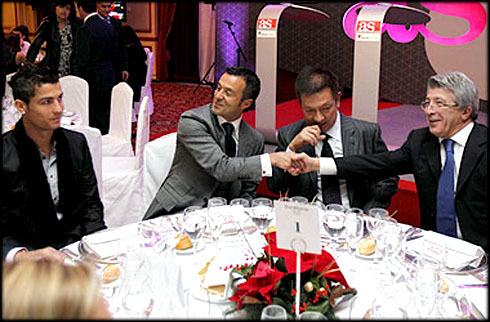 Cristiano Ronaldo, who was already seated, was intentionally and rudely ignored by Cerezo, as the first of several disrespectful attitudes that the Atletico Madrid president had. A few instants later, Cristiano Ronaldo, who was already visibly disturbed, asked Cerezo if there have been any sort of rewards for all those hard and violent tackles that we've seen in the Real Madrid vs Atletico Madrid derby, played this last Saturday. Cerezo fired back and stated that Real Madrid players have also been tackling hard lately. One of the Merengues vice-president, Fernando Fernandéz Tapias, who was seated next to Ronaldo, joined the discussion by denying that Real Madrid players play violently. Cerezo ignored him and started stating a few Real Madrid players names, mentioning the likes of Pepe, Ricardo Carvalho, Sergio Ramos and curiously Marcelo, who he pretended to have forgotten the name and was describing as "that short guy with a lot of hair", just before being remembered the name, by a woman who was listening to everything near the table. While Cerezo kept dissing and mocking Real Madrid players, Ronaldo stood quiet for a few seconds as he witnessed such lack of respect. The Portuguese player would then intervein to defend his teammates, while waving his head in disagreement. Cristiano Ronaldo: "You are talking about some of the best players in the World...", replied CR7, in a discussion captured by a Spanish TV network called "Cuatro". This Tuesday, Real Madrid also published a medical report, where the club outlined that Cristiano Ronaldo has suffered an injury, more precisely, a "level 1" sprained ankle, even though there was no date disclosed regarding CR7's return to training and his availability for this Saturday's game, Sporting Gijon vs Real Madrid for "La Liga". There was also a mention to the hard tackle that Ronaldo was victim of, still during the 1st half, in a violent foul from Atletico Madrid's defender, Perea. The Portuguese player would remain on the pitch at that time and ended the game limping, after twisting his left ankle for a second time in the 2nd half, this time without anyone's intervention. 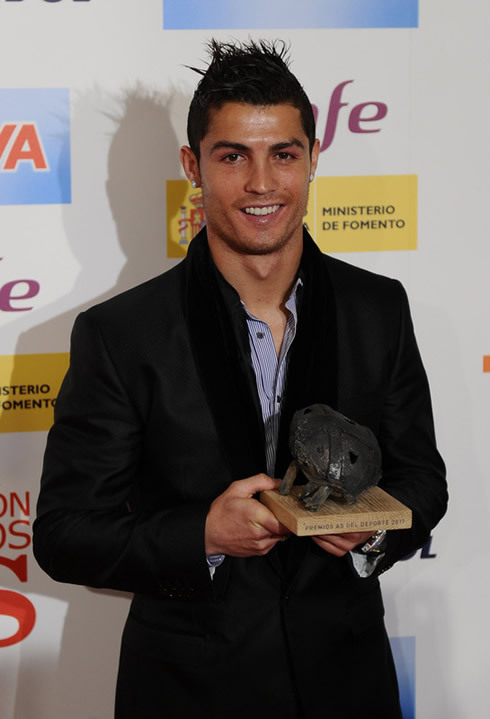 Real Madrid next agended match is against Sporting Gijon, for "La Liga", on the 3rd of December, 2011. In the meanwhile, this Wednesday you can watch Manchester United vs Crystal Palace for the Carling Cup. This weekend you may watch Sporting Gijon vs Real Madrid, as well as Barcelona vs Levante, both games for the Spanish "La Liga". They are all available from our football live streams section and you can check how much time is left for the next Cristiano Ronaldo game by looking at the countdown timer, placed on the top right corner of any of the site pages.